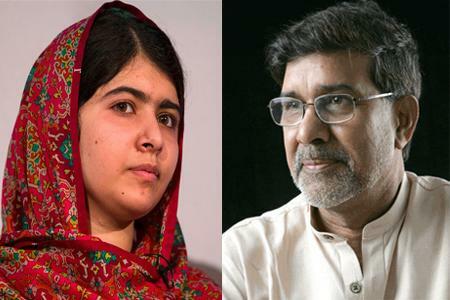 Oslo, Dec 10 : Indian child rights activist Kailash Satyarthi and Pakistan's Malala Yousafzai received the Nobel Peace Prize for 2014 at a ceremony held here on Wednesday for their struggle against the suppression of children and young people and for the right of all children to education. This is the first time that an Indian and a Pakistani have jointly received the Nobel Peace Prize. Speaking at the ceremony, Satyarthi said that he was accepting the award on behalf of the martyrs and activists. Oslo, Oct 14 : President Pranab Mukherjee on Tuesday invited Norway to invest in the infrastructure sector of India, calling it an area of focus for the nation and thus a great opportunity for the Scandinavian country. 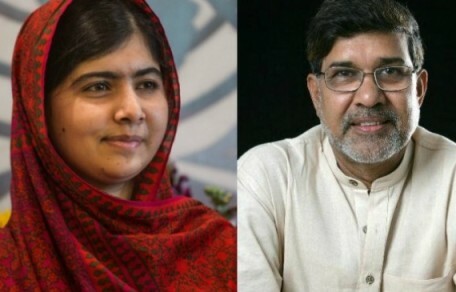 Oslo, Oct 10 : Renowned child rights activist Kailash Satyarthi, who leads the Bachpan Bachao Andolan, and Pakistani activist Malala Yousafzai have been jointly awarded the 2014 Nobel Peace Prize for "their struggle against the suppression of children and young people and for the right of all children to education". Oslo, Oct 11 : The 2013 Nobel Peace Prize has been awarded to the Organisation for the Prohibition of Chemical Weapons (OPCW) "for its extensive efforts to eliminate chemical weapons", the Norwegian Nobel Committee announced Friday. Stating that disarmament figured prominently in Alfred Nobel’s will, the Committee stated that it had, through numerous prizes, underlined the need to do away with nuclear weapons. Opera has released the trail version of its new Opera Next 15 for Windows and Mac, which will offer a preview into the company's next generation browser for computers. The Norway based developer has now moved its Presto based browser onto the Chromium platform as part of its new strategy to appeal to most users around the world. The new browser comes with a host of interacting and improved feature and seamless sync with the browser's Android version. The home page of the browser comes with three tabs, Speed Dial, Stash and Discover. Oslo, Feb 10 : An iPhone app, known as iDichotic, places psychological testing at your fingertips, yielding results as reliable as lab tests, says a new study. Dichotic listening, a lab test, indicates which side of the brain is most active during language processing. The iPhone app was launched in 2011. "We found that the results from the app were as reliable as those of controlled laboratory tests," says Josef Bless, doctoral researcher in psychology, University of Bergen, the journal Frontiers in Psychology reports. Norway-based browser maker Opera Software has recently released the Opera 12.10 beta version, which has - as per the company's claims - been designed for giving the Opera browser a notably improved look on all high-resolution displays, including the Retina Displays of the Mac. According to Opera Software, the 12.10 beta version - which was dubbed version 12.50 in previous test stages - boasts the addition of Google's SPDY and the Web Socket standard and other supporting technologies, with the key objective of ensuring speedier Web communications. Telecom entity Telenor Group has reported that it has managed to register a seven fold profit rise in the second quarter ended June 30. The company has also informed that its business in Asia has been significant and it has a major contribution to the rise in the net profit. The company has posted a net profit of $9.49 billion for the quarter that ended in 30th June, 2010. Last year's net profit was $1.37 billion for the same quarter. What if a windmill floats? Answering the above is a windmill with a turbine spin of 80-metre blades which generates an output of 2.3-megawatt across the southwest coast of Norway floats on the sea. This floating windmill an invention of Siemens AG was built for Statoil ASA, an energy company based in Stavanger, Norway states how the windmill functions. It works on a buoyant steel cylinder extending 100 meters below the surface with support of three heavy cables that cling on to the ocean floor. Obesity increased the risk for fibromyalgia, but exercise decreased fibromyalgia risk, researchers in Norway have said. Women who reported exercising four times per week had a 29 percent lower risk of fibromyalgia compared with inactive women, study leader Paul Mork of the Norwegian University of Science and Technology in Trondheim have found. Mork said in a statement, "Similar results were found in the analysis of the summary score combining information on frequency, duration and intensity of exercise; women with the highest exercise level had a somewhat lower risk than inactive women." Researchers have found that a person who has lung cancer in Norway or Sweden is much more likely to survive than a person in Britain. 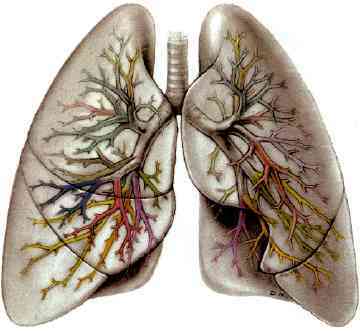 Lung cancer survival in England, Norway and Sweden from 2001 to 2004 using data from lung cancer registries in all three countries was analyzed by researchers at King's College, London. Yara has declined to raise the bid for Terra Industries and has moved out of the bidding process. Chief Executive of Yara, Joergen Ole Haslestad said in a statement that the takeover may be very beneficial for the company, but no way is it going to raise the price of its bid. He said that the takeover at current valuations is very attractive, but they make lesser sense if the bid price is increased to the level of rival bidding. Norway is on its way to finance World's biggest Wind turbine. As per Norwegian utility Lyse and ship designer Inocean, "The Norwegian-built turbine will be tested on land for two years before getting it shipped out to the windy North Sea as under the Sway project which involves oil and gas producer Statoil"
Dissimilar to this most offshore wind projects where turbines rests on the seafloor, new Sway turbines will float. This would result in further development to offshore where winds are stronger and more consistent. “I receive this honor with deep gratitude and great humility. It is an award that speaks to our highest aspirations -- that for all the cruelty and hardship of our world, we are not mere prisoners of fate. Our actions matter, and can bend history in the direction of justice,” said Barack Obama during his Nobel Prize speech. Oslo, Dec 10 : US President Barack Obama accepted the Nobel Peace Prize Thursday at a ceremony in this Norwegian capital. The prize was awarded to Obama in October for his "extraordinary efforts to strengthen international diplomacy and co-operation between peoples". Oslo, Dec 10 - US President Barack Obama arrived early Thursday in Oslo, where he later was to accept the 2009 Nobel Peace Prize. The president was accompanied by First Lady Michelle Obama and welcomed by Norwegian Foreign Minister Jonas Gahr Store and Kaci Kullmann Five, deputy chairman of the Norwegian Nobel Committee. The highlight of Obama's visit will be his receipt of the coveted prize and delivery of an acceptance speech at Oslo City Hall. Oslo, Dec 9 :Iran's Supreme Leader Ayatollah Ali Khamenei was Wednesday selected as winner of "dictator of the year prize", students at Oslo University said. The Iranian leader was chosen from 11 candidates - selected by human rights experts - including North Korean leader Kim Jong-Il, President Robert Mugabe of Zimbabwe, and Myanmar's General Than Schwe. Beitostolen - Norway's Marit Bjorgen claimed victory in the opening cross-country race of the season Saturday, a 10-kilometre freestyle event in Beitostolen.